The Raven, The Tell-Tale Heart, and other macabre mysteries. His name conjures up images of premature burial, black cats, forbidden crypts, and crumbling old houses where terrifying secrets dwell. Almost one hundred and fifty years after his death, Edgar Allan Poe’s prose and poetry continue to frighten, influence and inspire writers, composers, artists, poets, and readers all over the world. Despite a mixed reputation during his lifetime, Poe is today considered one of America’s greatest writers. Born in Boston on January 19, 1809, Poe was the son of professional actors. Soon after his father deserted the family, his mother died of tuberculosis, orphaning him at age three. Separated from his brother and sister, he went to live with a well-to-do family in Virginia. The Allans (from whom Poe took his middle name) provided him with a strong education, but were resistant to his literary aspirations. By the time he attended the University of Virginia, he had already begun to grow apart from his guardian, John Allan. After running up gambling debts, and becoming estranged from the Allans, Poe left college and enlisted in the United States Army. There he progressed rapidly, becoming a sergeant major. It was then that he self-published his first book, Tamerlane and Other Poems. 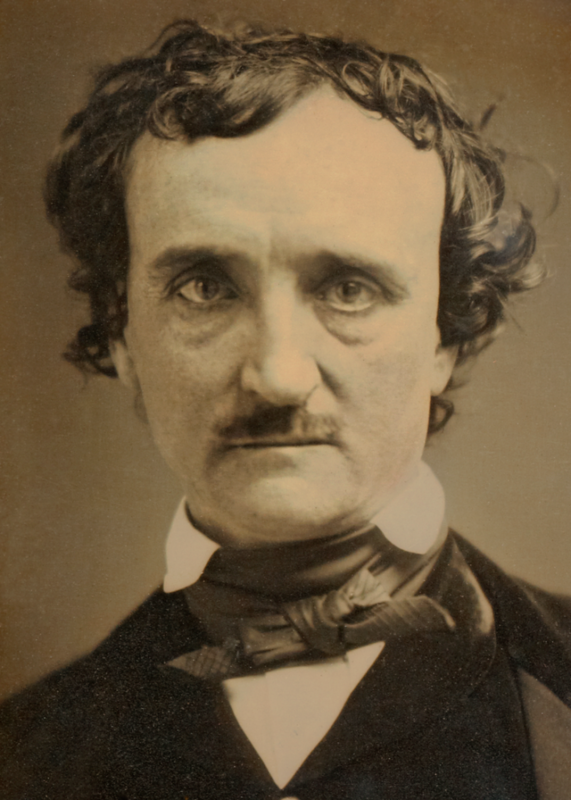 After his discharge from the Army, Poe briefly attended West Point and then moved to Baltimore where he attempted to launch his career as a writer. In 1833, he married his thirteen-year-old cousin and moved her and her mother to Richmond, Virginia. Throughout the late 1830s and early 1840s, Poe wrote much of his best work, including The Narrative of Arthur Gordon Pym and the stories “The Fall of the House of Usher,” “The Murders in the Rue Morgue,” and “The Gold Bug.” While other writers of the time were writing straight forward realistic representations of life in America, Poe was concerning himself with the subconscious— dreams, nightmares, and the unspoken. His work plumbed the depths of human fears and desires, often allowing the “reality” of the stories to fade away and make room for a reality only found within the mind. Though he had many admirers, the harsh conditions of the literary marketplace made it impossible for Poe to make a decent living through writing. To support his new wife and mother-in-law, Poe moved to Philadelphia, then New York, and took a number of jobs as a magazine editor, working at publications including New York Mirror, Burton’s Gentlemen’s Magazine, and Godey’s Lady’s Book. Though his skill as both an editor and critic were exceptional, he often found himself at odds with others in the literary world. He had repeated bouts of alcoholism and rarely lasted more than a year and a half at any one job. 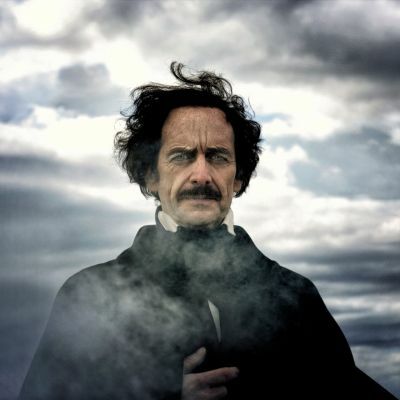 In 1844 Poe received enormous attention for his masterful poem “The Raven.” But with the advances in his career during the mid-1840s also came the setbacks of his continued feuds with other literary figures, drinking problems, employment problems, and most of all, the ill health of his wife, Virginia – who, like Poe’s mother, suffered from tuberculosis. In January of 1847 his wife died. After a period of mourning, Poe began once again to write, producing one of his masterpieces, “Eureka.” He undertook a lecture tour to raise money for a new magazine, and eventually landed back in Richmond, where he hoped to marry his childhood sweetheart. On a trip back north to New York in 1849, Poe stopped in Baltimore where he was found on October 3rd, passed out on a street outside a bar. He died four days later. Though some have suggested foul play, no one is certain of the circumstances of his death. Sadly, it was not until years later, with the help of French poets such as Baudelaire, that Poe’s rank as a great artist became solidified. A man profoundly ahead of his time, Edgar Allan Poe pointed to the mysteries of the psyche, to the dark truths that float in our dreams, to our unredeemable fears; and for this, generations of readers remain eternally grateful. Major support for Edgar Allan Poe: Buried Alive is provided by the National Endowment for the Humanities. Additional support for this film is provided in part by National Endowment for the Arts, Joy Fishman, and Wallace S Wilson.